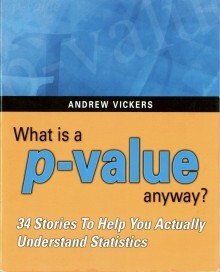 When I told our friend David Littleboy that I was having trouble understanding the statistics generated by my network analysis software, he recommended Andrew Vickers’ What is a p-Value Anyway? When I found it on Amazon, Amazon suggested that I might also want to purchase David Salsburg’s The Lady Tasting Tea. The title was irresistible. That is how I wound up buying two remarkable books. Both take on the task of humanizing statistics. They succeed in different ways. As its subtitle explains What is a p-Value Anyway? is a collection of 34 stories, each of which illustrates a particular point about statistics. The information is serious, but the tone is lighthearted.Each story begins with a cartoon. Thus, for example, Chapter 2 “So Bill Gates walks into a diner: On means and medians” begins with a cartoon showing a waitress asking, “How was your breakfast, Mr. Gates?” Gates replies, “About average,” raising the eyebrow of the statistician sitting on the next stool reading his Daily Stat. The opening paragraph reads, “A statistician’s joke: So Bill Gates walks into a diner?cand the average salary changes.” With Gates in the diner, the mean salary is hundreds of millions of dollars, far above the median, a more realistic estimate of what most people who frequent the diner make. Similar stories introduce describing data, data distributions, confidence intervals, hypothesis testing, regression and decision-making, and some common statistical errors. I am reminded of Salman Khan’s math videos. Here, too, a tough subject is introduced in small digestible bites. At the end of the chapter, we learn that the lady, when tested with a random series of cups mixed in different ways, got every one right. The bearded man was Ronald Aylmer (R.A.) Fisher, whose 1935 book The Design of Experiments would revolutionize the way science was done. In The Lady Tasting Tea, we learn a lot about him, his career, his achievements, and his academic rivals?\and he is only one of many.The 29 chapters of The Lady Tasting Tea are devoted to the lives and careers of the statisticians who invented the techniques described in What is a p-Value Anyway? Many of them knew each other as teacher and student or as bitter rivals or both. The techniques are described in the context of the problems they were designed to solve and the quarrels they initiated. Both The Lady Tasting Tea and What is a p-Value Anyway? succeed in bringing to statistics to life, one through historical drama, the other through self-deprecating comedy. Even if you already know the statistics you will find them delightful to read. If you don’t, you will learn a lot about statistics. You are also likely to enjoy the experience. Andrew Vickers (2010) What is a p-Value Anyway? 34 Stories to Help You Actually Understand Statistics. New York: Addison-Wesley. 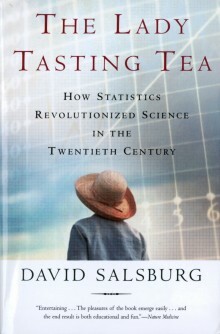 David Salsburg (2001) The Lady Tasting Tea: How Statistics Revolutionized Science in the Twentieth Century. New York: Henry Holt and Company. A friend in charge of marketing this stuff sent me some free samples. It tastes great, and that isn’t just my opinion. I took a bottle to the organizers’ party after our local mochi-pounding, and it disappeared in a flash. Our Japanese colleagues like it, too. We are down to our last bottle. At 13% alcohol, it’s on a par with sherry or port and makes a great nightcap. S.O.S. Mathematics is a great site for short, informative introductions to all sorts of basic mathematics. If you need to understand a term in Japanese art or architecture, JAANUS should be your first place to look. JAANUS, the Japanese Architecture and Art Net Users System, is the fruit of two decades of effort by the late Dr. Mary Neighbour Parent, a specialist in Japanese architectural history, and those who have chosen to carry on her terminological work in her memory. Surely art and architecture dictionaries are a dime a dozen, you think? Not for Japanese art, in English. There are books on specific topics, with glossaries. There are reliable entries in the Kodansha Encyclopedia of Japan. There are dictionaries giving artists’ biographies (Roberts, A Dictionary of Japanese Artists), even an excellent cd-rom developed by Kim Scheufftan with biographical and some terminological information. But I know of nothing as good as JAANUS, partly because the entries are cross-referenced across all the fields covered; the language is thus consistent, and differences in the meanings of specific terms by field are explained. The result, backed by serious study of the various fields, is coherent and thorough. I do find it annoying to have to click on “go” to start a search—I’m spoiled by the usual convention of hitting the “return” button. And it would be helpful at times to be able to search by kanji and kana instead of romanization. But those are trivial complaints far outweighed by the wealth of information available on this site. I’m currently working on an essay about chawan (Japanese tea bowls). To focus my thinking and refresh my tea vocabulary, I of course went to the site and searched on chawan. The site does not claim to cover ceramics (which most tea bowls are), but the tea ceremony and its ramifications are so important in Japanese art and architecture that, yes, it has a very thorough entry. Thanks, Dr. Parent. Thanks, JAANUS. Now, what do golfers mean by that? From backspin to backweight, Calcutta, Frog Hair, Maltby Playability Factor, or maraging steel, for the specialized terminology used by golfers and the golf industry, About.com’s golf glossary is a good place to start your search.